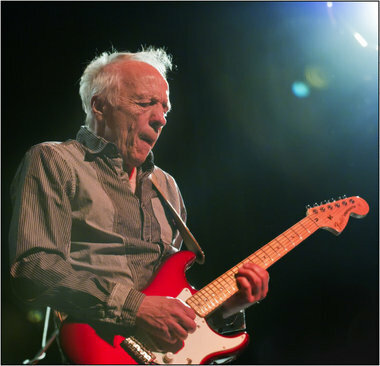 Old favorites: Blues-rock guitarist Robin Trower continues to perform his classics on tour. There's no retirement age for rock 'n' roll. In his triumphant tour finale at Van Andel Arena, Bob Seger proved that much Saturday night when the 66-year-old iconic Michigan rocker showed he still has plenty of old-time rock 'n' roll left in him. The same goes for British blues-rock guitarist Robin Trower, also 66, who proved that age is but a number with a vintage performance that delighted a much smaller gathering Sunday night at The Orbit Room. Everyone came to see Trower make his Fender Stratocaster wail and weep. The former Procol Harum guitarist, who embarked on a long solo career in the 1970s, ripped through an assortment of classic riffs and tunes that reminded us he remains one of the all-time masters of his craft, regardless of age. He and his touring band, consisting of singer Davey Pattison, bass player Glenn Letsch and drummer Pete Thompson, were flawless. Letsch and Thompson formed a thunderous rhythm section, but still never distracted from the soulful and energetic Trower who was front and center for the entire concert. Trower heated up the audience with three blistering songs in the middle of the evening. His note-perfect stylings on the adrenaline-pumping Day of the Eagle and the spine-chilling Bridge of Sighs, both from the 1974 career-defining Bridge of Sighs album, were worth the price of admission alone. It transported middle-aged fans back to their youth and had some fathers performing air guitar in front of their teenage sons. 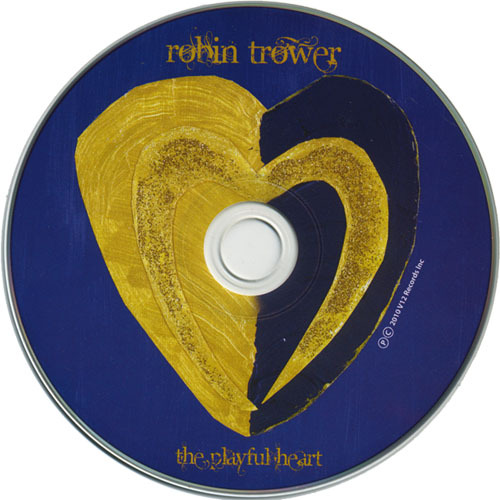 The most pleasant surprise of the evening was The Turning, a selection off Trower's latest release, The Playful Heart, which proves that even this late in his career Trower hasn't lost his touch. The Turning is a rip-roaring modern blues rampage with a signature riff that should a staple of future live performances. If there's a small complaint, it's that Trower didn't play longer. Highlight: Spectacular renditions of Day of the Eagle and Bridge of Sighs back-to-back in the middle of the set. Low point: More of Trower soloing and less of amateurish opening act Slight Return would've made for a perfect evening. Stage quip: Not much. Trower simply let his guitar do all the talking. The opening band, Slight Return, is a rock-funk-rap band from Detroit that is technically proficient, but guitarist and singer Mark Kassa could learn a lot from watching Trower's subtle fretwork produce such huge sounds. The in-your-face assault from Kassa belongs elsewhere. The four-piece outfit, which placed small light stands flashing its band name in different colors right smack in the middle of the stage, redeemed itself a bit when percussionist Tony Mitchell took on the vocal chores. It's just that Kassa is no Kid Rock and Slight Return sounds nothing like the Red Hot Chili Peppers. Its final song, Welcome to the D, at least had some passion. Suggestion: Slight Return might want to get a beer sponsor included on those ridiculous flashing light stands. Or put a blinking neon sign on Kassa's wide-brimmed hat endorsing a preferred brand of liquor. It's hard to imagine Trower ever lowering himself to that level.